Due to the huge annual pilgrimage to the Santuário de Nossa Senhora da Muxima scheduled for this August 31 and September 01, which is expected to receive a million and a half visitors this year according to the August 17, 2013 Angonoticias, our guide for the ‘Salt mine overnight camping trip’ is not available since he lives in Muxima and is otherwise occupied. Check out previous Angola Field Group trips to Luandos on our YouTube Channel! Click HERE to go to our YouTube Channel. The Angola Field Group has been invited once again to participate in the Festa dos Luandos, September 9, 10, and 11. This is a great opportunity to experience firsthand what life is like in an African village. Situated about 5 hours southeast of Luanda, just outside the borders of Quicama National Park, participants can choose to camp in the woods near the village or stay in a traditional hut with a family. Some of the events you will be part of include thrashing the bean harvest, collecting and tasting freshly tapped palm wine, and participating in the dances of Luandos. There will be a chance for birdwatching also. A fee of $150 usd covers accommodation and meals which will be prepared by the cooperative of local women. This is not an Angola Field Group trip. To sign up or for more information call Serafim at 917- 823 464, or email: serafimquintino@yahoo.com. Deadline to sign up is Wednesday, September 7th. Departure will be September 9, Friday morning, meeting at the town of Catete at 7:00 AM. Check with Serafim for details. Departure from Luandos to return back to Luanda will be Sunday morning about 8:00 AM. 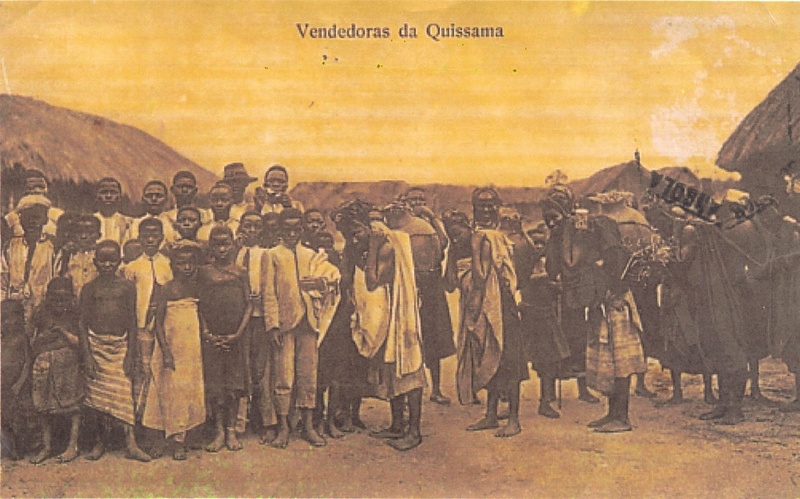 The people of Luandos are from the Quicama tribe; these are sellers (vendedoras) of the Quicama people. 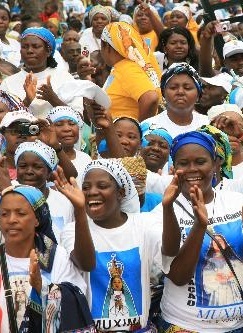 Mama Muxima attracts thousands of visitors in September. The Angola Field Group invites you on a day trip to the province of Bengo, Sunday, July 10. 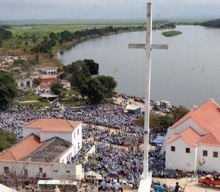 We will leave Luanda at 6:30 AM and drive east to Catete via Viana and then head south, crossing the Kwanza River at Cabala and then onto Muxima, a town where thousands of pilgrims converge in September for the ceremony of Nossa Senhora da Conceicao or Mama Muxima. 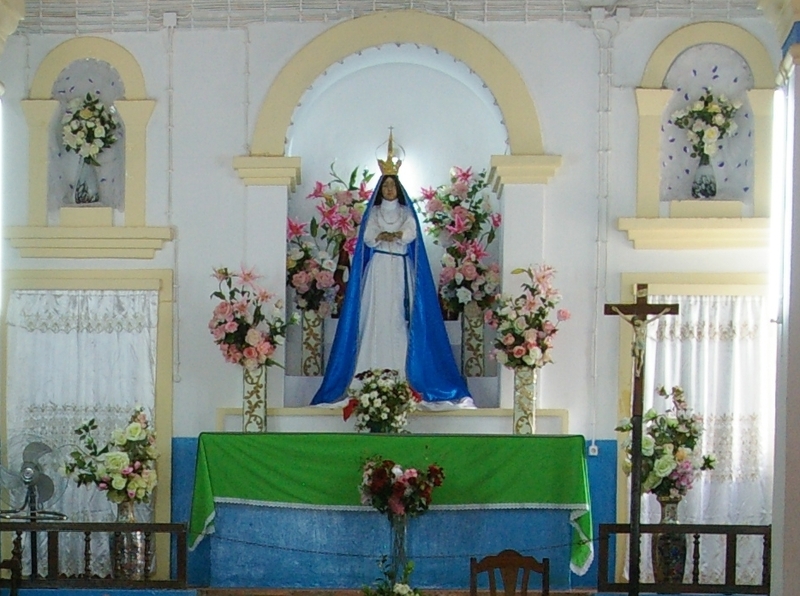 We will see her statue in the small Catholic church which is a year-round destination for Angolans to come and pray. Towering above the church is the fort, built by the Portuguese in 1599 to control boats heading into the interior on the Kwanza River. From Muxima we will enter Quicama National Park and drive westwards across the park to Cabo Ledo. The Muxima – Cabo Ledo drive will essentially be a transect showing some of the natural areas in the park but also revealing some of the activities one does not expect to find in a national park including increased subsistence farming, small villages, expanded major road infrastructure, effects of past oil production & current oil exploration, and increased developments along the coast like large-scale quarrying for cement at Cabo Ledo and the expanding beach/resort town of Zangano. Quicama still has a small undisturbed fenced-in part where game animals were re-introduced ten years ago but note, we will not be visiting that area. Before we leave the park we will meet Quicama Park Administrator, Miguel Savituma, who will give us a brief rundown on the park and be available to answer questions. 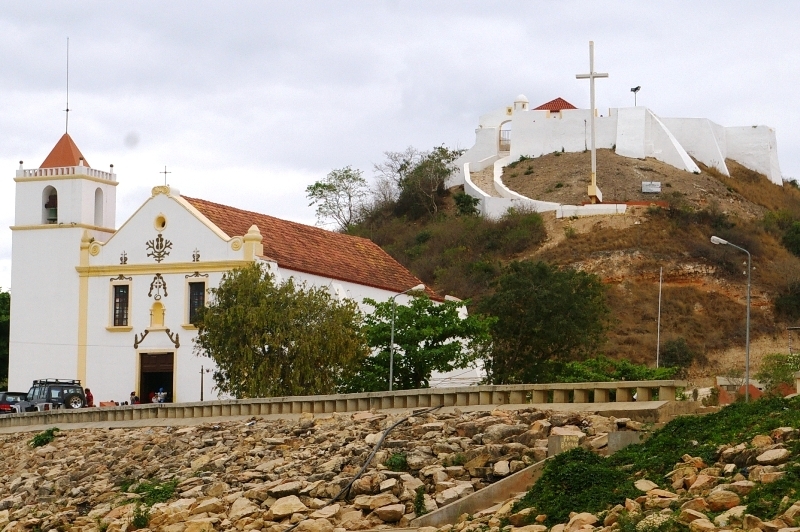 Famous Muxima church and in background 16th century fort.